The Rebel Sweetheart. 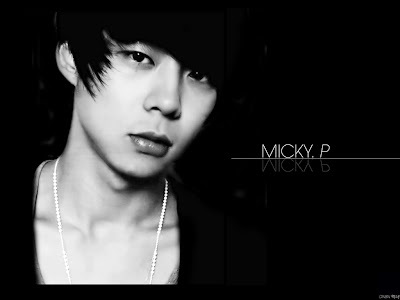 : Oh Micky, You're So Fine! I'm not exactly sure how it happened, but something tells me I've become a full-blown Chunsa. In Kpop terms, that is what you call a Park Yoochun fan. Park Yoochun, who goes by the stage name Micky, is one-third of the Korean boy group JYJ. He debuted as a member of the world-famous TVXQ (also known as DBSK or Dong Bang Shin Ki) in 2003. Not only is he a singer, rapper, and dancer for the group, he is a songwriter as well. I watched Miss Ripley, (his second drama) too. Wasn't too happy about this, though. The storyline (which was actually based on a true story) was a tad too melodramatic for my taste. Plus I sensed no chemistry whatsoever between him and his leading lady, Lee Da Hae. And I hated Micky's hair, because it looked so Leonard Nimoy (aka Spock) to me. His third drama, The Rooftop Prince, is currently airing, and holy schmoly, I can not get enough of pretty boy Micky! I usually refrain from watching currently airing dramas because I hate being kept in suspense until the next episode airs, but this one is just too, too daebak (translate: awesome)! The awesome foursome of The Rooftop Prince. I'm not sure if I've mentioned this before, but I have a thing for sageuk (historical) and fusion sageuk dramas. Think Queen Seon Deok, Iljimae, Hong Gil Dong, The Princess Man, The Moon that Embraces the Sun, Warrior Baek Dong Soo, and now this. Perhaps because I'm an old soul that I find everything about Joseon very interesting - the folk village, the palace and its tapestry, the politicking, the rise and claim to power, the silk robes, the rice cakes, the maehwa in full bloom. And as far as I'm concerned, saeguks and fusion sageuks have a way of unleashing an actor's talent and making him shine. In Micky's case, The Rooftop Prince is making his star shine even brighter. I can't wait for Episode 17! Sharing with Green Monday, Mellow Yellow Monday, Rednesday, and Color Connection. My teen daughter is also into KPop and Korean teleseryes...she would even buy DVDs with English caption ang painstakingly read the caption. Korean fanatic ka talaga sis. Kelan ka magmamigrate dun? Thanks for joining Color Connection. Now I know what I am "chunsa" beside "Elf"